Whether you’re a dog person, a cat person, or a person who prefers the company of a 15-foot Burmese python, you want to give your pet the best care possible. You’re also aware that caring for Fido, Fluffy, or whatever one names a giant reptile isn’t easy when you’re on a tight budget. The average cost of dog or cat ownership during the first year exceeds $1,000, along with $500 in annual expenses every year after that. The cost of keeping exotic species with specialized care requirements can be considerably higher. While purchasing or adopting a pet is a major investment that should never be made lightly, not all pet-related expenses are inevitable. 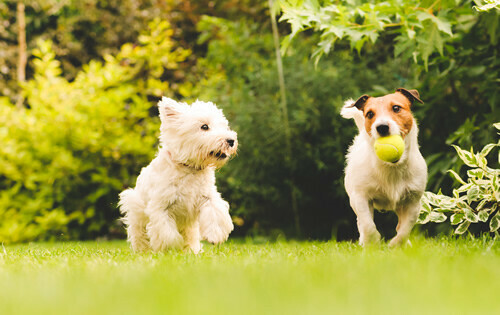 Here are four strategies to provide for your pet’s needs without going broke. Frugal for Less points out; however, these savings are only the tip of the iceberg. On websites like Cardpool, you’ll find discounted Petco and Petsmart gift cards. If you purchase a gift card for less than it’s actually worth using a credit card that offers cash back or other rewards, you can then use the gift card to purchase products on sale and stack additional savings on top by using a coupon and earning points on your loyalty card for future purposes. You could then save even more by uploading your receipt to a rebate app like Ibotta to receive cash back on select items. While deal stacking will save you money at the pet store, you can often save more by staying home. Many brick and mortar stores also have exclusive online deals, including half-price clearance items, and offer free shipping. Debt Free Guys explains how accessing online retailers through a cash-back site like Ebates or DollarDig can earn you an additional 15 percent discount. Amazon and other online vendors offer discounts when you set up automatic re-order and delivery of items you purchase regularly, which means you’ll never run out of pet food and find yourself at the mercy of the nearest convenience store’s prices. Check your local Freecycle and Craigslist before making any big purchases. You might score a cheap or free crate, puppy gate, exercise pen, cat condo, or carrier. Second-hand items are safe for your pets as long as you wash them thoroughly with Lysol or another disinfectant and let them air out completely before use. Although your vet’s office provides care for your pet, it’s not the best place to purchase supplies. Find out what pet food or shampoo your vet recommends and then buy it online. Top Dog Tips indicates vets often markup prescription medications as much as 160 percent and charge an additional dispensing fee, though the profit they make often allows them to offer services at a lower cost. If you don’t need to administer the medication immediately, purchase the drug more cheaply from 1-800 PetMeds, Doctors Foster and Smith, or PetCareRx. These online pharmacies all carry the Veterinary-Verified Internet Pharmacy Practice Sites (VIPPS) seal, indicating they are voluntarily complying with strict regulations to ensure the medication is safe. Vet bills are among the largest expenses your pet will incur, and routine vet care is often the first thing that’s neglected when pet owners fall on hard times. If pets seem perfectly healthy, it’s hard to justify the cost of a vet visit, but preventative care is by far the most cost-effective approach. Leah Ingram reveals the average cost difference between preventing common diseases and treating them. For example, spending $180 to have your pet’s teeth cleaned and examined regularly is less than half of what you would pay to treat dental disease or have a rotten tooth extracted. Spending $300 to spay or neuter your pet sounds pretty steep until you consider the $600 vet bill that comes with treating reproductive diseases plus the exponential costs of an accidental litter. Skimping on a parvovirus vaccine could cost you thousands–and your pet’s life. Although medical care is best left to your vet, there are plenty of ways your DIY skills can save you a bundle. Those brightly colored, overpriced, and easily shredded toys in the pet store are clearly designed to entice humans, not animals with limited color vision. Everything you need to keep your pet entertained is either already scattered around your house or available for pennies. Cardboard boxes, paper bags, toilet paper rolls, plastic bottles, and crumpled balls of paper will keep your kitty occupied for hours. If you’re a little craftier, you can easily create these homemade cat toys with some yarn, fleece scraps, jingle bells, and wooden dowels. For homemade dog toys, use rope or old t-shirts and towels to create tugging toys. For a food puzzle, drill kibble-sized holes in a PVC pipe or hide food under tennis balls in a muffin tin. How do you pamper your pooch or cater to your cat on the cheap? Share your ideas in the comments.